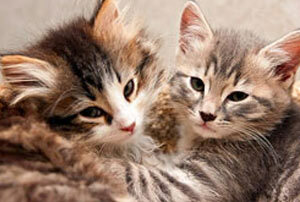 Billerica Cat Care Coalition has many cats and kittens available for adoption, fill out an adoption application today. Fill out our adoption form below to begin the adoption process. Thank you for your interest in adopting a pet a cat. Please fill out the form below to the best of your ability. Applicants must be 18 years of age or older. Completion of this application does not guarantee placement of an animal with the applicant. * Which cat are you interested in adopting? Please provide landlord name and phone. How many and what are their ages? What kind of pet and how many? What are your pet's names? For how long did you own the cat? Who is your most recent veterinarian and his/her phone number? Has your pet seen any other veterinarian in his lifetime? If yes, please provide their name and number? Has your last name and/or address changed since your pet was last at the vet? If yes, please explain. How long do you plan on keeping the cat? How do you plan to care for grooming such as nail care, dental care and general grooming? How will you handle the kitten or cat's need to scratch? What if they scratch your furniture? Please give a detailed description. What is your opinion on indoor only vs indoor/outdoor cats? 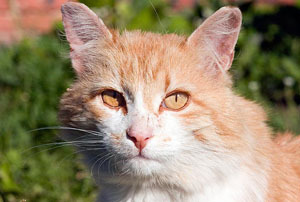 To help defray the cost of their care, we require a $150 non-refundable adoption fee for cats from 7 weeks to 12 months of age, a $90 non refundable adoption fee for adult cats 1 to 11 years of age, a $50 non-refundable adoption fee for cats designated 'Special Needs' and $25 for senior cats at least 12 years of age. In addition, responsible pet ownership means incurring some expenses, including medical care. We estimate the annual cost of average veterinary care (yearly exam, shots and treatment of at least one condition) to be at least $150. I/We, the undersigned, promise to provide sufficient shelter, food, water, medical care, comfort and love so that this animal will thrive and lead a happy indoor life as best as we are able. I/We will make available veterinary care as needed. I/We promise never to declaw him/her. If I/We must move from our current location, I/We will either take him/her with us or provide for his/her care by returning him/her to Billerica Cat Care Coalition. My typed signature below signifies that I agree to the terms of this adoption and that all the information provided is true and accurate.